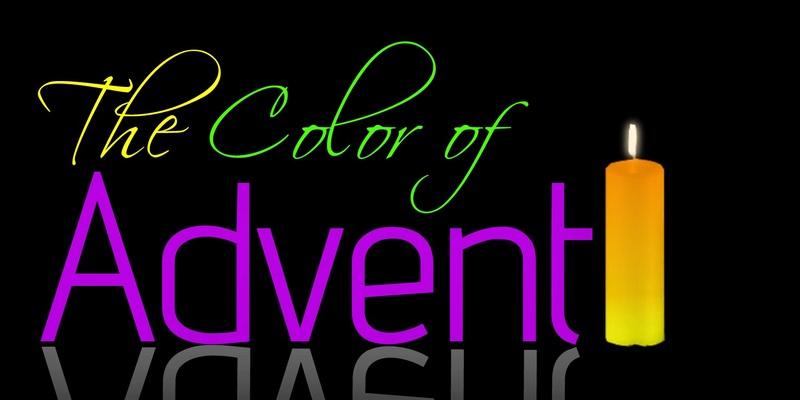 Historically, the primary sanctuary color of Advent is Purple. This is the color of penitence and fasting as well as the color of royalty to welcome the Advent of the King. Purple is still used in some traditions (for example Roman Catholic). The purple of Advent is also the color of suffering used during Lent and Holy Week. This points to an important connection between Jesus’ birth and death. The nativity, the Incarnation, cannot be separated from the crucifixion. The purpose of Jesus’ coming into the world, of the "Word made flesh" and dwelling among us, is to reveal God and His grace to the world through Jesus’ life and teaching, but also through his suffering, death, and resurrection. To reflect this emphasis, originally Advent was a time of penitence and fasting, much as the Season of Lent and so shared the color of Lent. yes, purple is one of the colors of advent, that's why churches are decorated with purple at the beginning of the season. incidentally, purple is my favorite color, lol!